University of California Master Gardeners support healthy plants with sustainable landscaping practices, water conservation, water quality, green waste reduction, wildlife enhancement and energy conservation. County-based UC Master Gardeners focus on appropriate plant selection for the local climate, providing residents with guidance on proper care and placement of plants. With a knowledge of invasive plant species that affect California’s landscapes and wildlife, UC Master Gardeners work with residents and organizations to protect local ecosystems. The Arboretum All-Stars program is a joint project of the UC Davis Arboretum, the California Center for Urban Horticulture (CCUH), and UC Cooperative Extension. 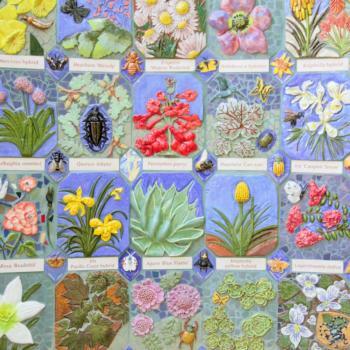 The program seeks to promote appropriate plants for sustainable California landscapes. Selecting from the list of 100 Arboretum All-Stars is an easy way for landscapers and home gardeners to enhance the beauty and eco-friendliness of their gardens. UC Master Gardeners report on pest or disease problems, flowering, overall appearance, and other ornamental features (such as durability, size, and leaf qualities). Monthly evaluation data are compiled for analysis, and the information is disseminated through print and online media, public workshops, and seminars. 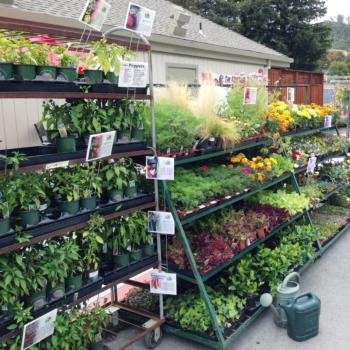 Each year UC Master Gardeners around the state participate in PlantRight’s Spring Nursery Survey, a collaborative effort to track the availability of invasive plants in California retail stores. This collaborative partnership is very important in helping the nursery industry to replace invasive plants with environmentally safe alternatives. This past year more than 130 volunteers - over 90% of whom are UC Master Gardener volunteers - donated more than 350 hours of their time, collecting data from 223 nurseries and retail stores in 38 counties across the state. Each survey provides PlantRight with the critical information it needs to update its list of invasive garden plants. Orange County, Calif. - Created to inspire and educate the public about the history of agriculture, basics of nutrition and the origins of their food, The Farm & Food Lab is a one-acre demonstration garden located at the Orange County Great Park in lrvine, Calif. The garden consists of twelve themed beds, as well as an espaliered fruit tree orchard, blueberry container orchard, compost and vermicomposting exhibits, outdoor classroom area, and seasonal exhibits. 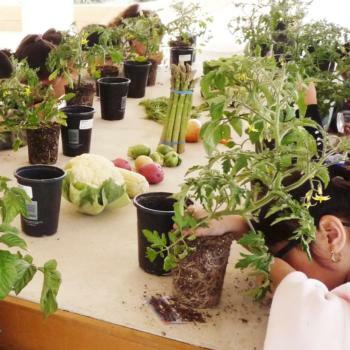 The Farm & Food Lab demonstrates best practices in sustainable home gardening techniques. It is designed, planted, and maintained by UC Master Gardeners of Orange County, who hold garden workshops, act as docents, staff special events, and participate in organizing tours for schools and other groups.